On Wednesday 14 November we hosted our annual ‘Disability Sports Day’ where we were joined by five local schools: Lord Wandsworth College, Alton School, Perins School, Amery Hill School, and Eggar’s School. 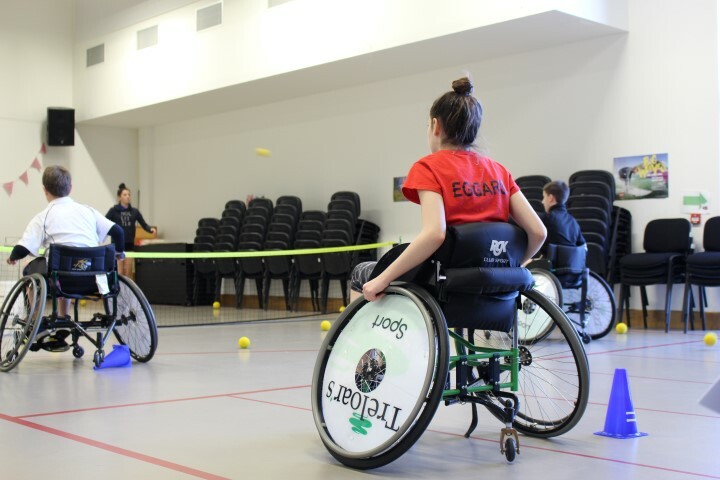 We welcomed over 40 students and staff to join in and experience some of the sports we offer at Treloar’s: boccia, swimming and table cricket. We were also fortunate to be joined by two external coaches from Wrecclesham Tennis Club who ran wheelchair tennis coaching sessions for all the students to try. As always it was an incredibly successful day with all the young people involved joining in enthusiastically and enjoying the different sports on offer. It’s a wonderful opportunity for people to try disability sports who wouldn’t otherwise have the chance.